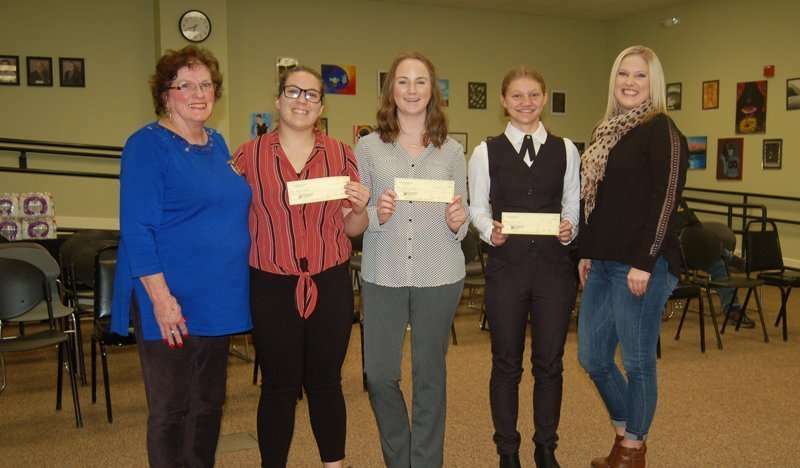 Judge Todd Eid summed it up perfectly when he said, “All three of you are winners,” at the Rotary Clubs’ Wednesday, Feb. 27 Speech Contest at the Lassen Union High School District Office. The top two finishers in the contest, sponsored by the Susanville Rotary Club and the Sunrise Rotary Club — Elizabeth Nielson (first place) and Bailey Nuckols (second place) — will advance to the area contest held Wednesday, March 27 that also will feature the winner of the Chester Rotary Club’s contest. The winner of the area contest will advance to the district contest, and the winner there will advance to the national contest. All three local contestants won a cash prize from the Rotary Clubs. Kendall Hubbard also qualified for the contest, but he did not appear at the competition. The theme of this year’s contest is “Be the inspiration,” in a speech that should be no shorter than five minutes and no longer than seven minutes. Judge Jim Chapman, who served many years as a public servant, said he made his living as a speaker. He suggested the contestants review the Rotary Club’s Four Way Test (Is it the truth? Is it fair to all concerned? Will it build goodwill and better friendships? Will it be beneficial to all?) and work elements of that perspective into their speeches because it will resonate with the Rotarians who will serve as judges as the contestants move on.